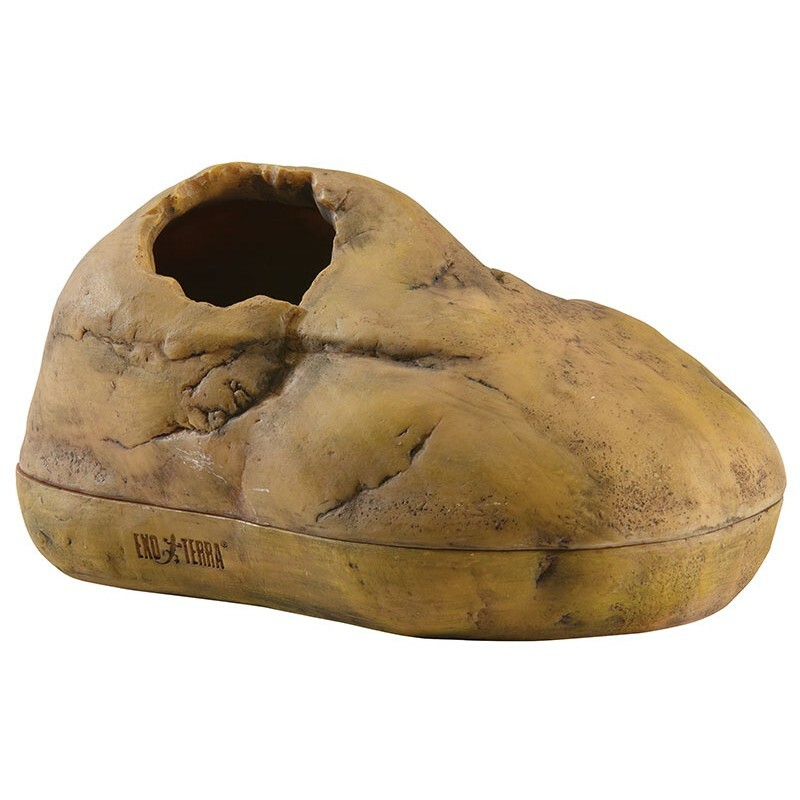 A proper hide is an essential feature of the natural terrarium. Without a safe hideout and resting area, reptiles and amphibians can easily develop stress that may affect their activity and appetite. The Exo Terra Snake Cave integrates into any type of terrarium, and its sturdy design prevents it from being tipped over by larger reptiles. 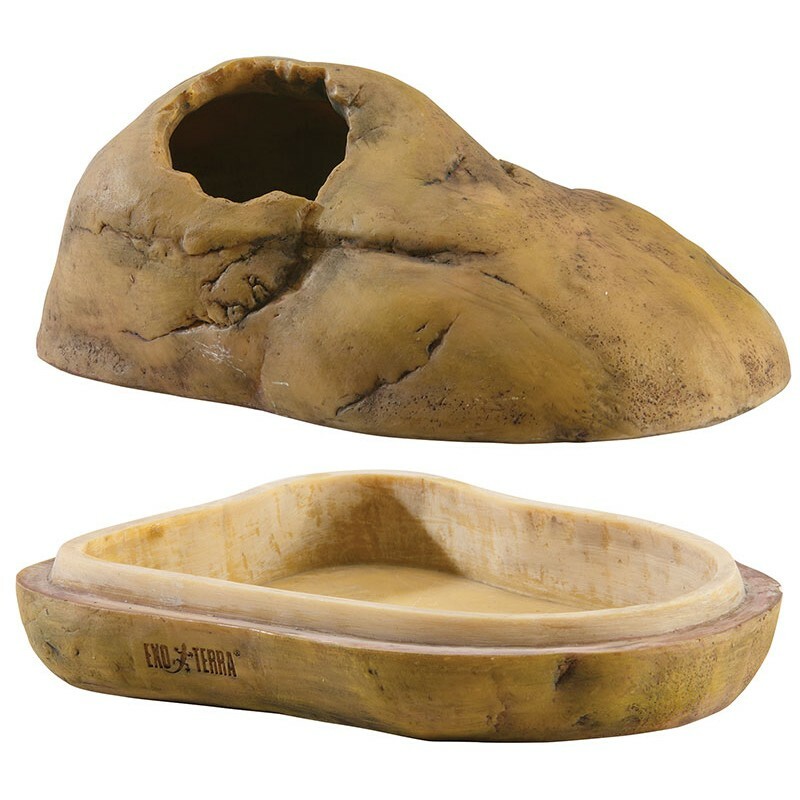 The Exo Terra Snake Cave makes the perfect addition to your terrarium. A proper hiding area is an essential feature of the natural terrarium. Without a safe hideout and resting area, reptiles and amphibians can easily develop stress that may affect their activity and appetite. 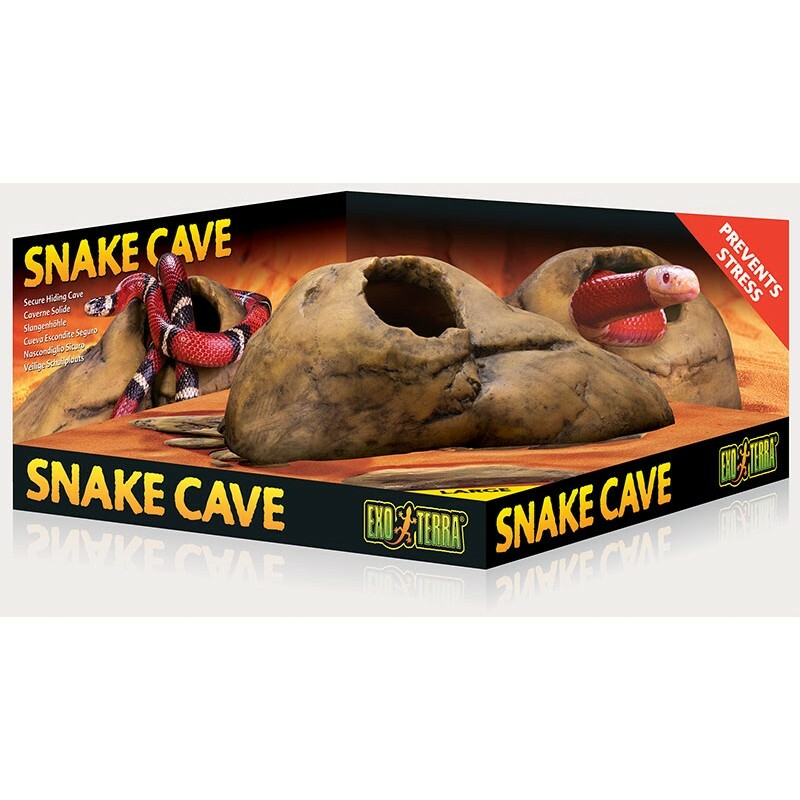 The natural look of the Exo Terra Snake Cave allows it to integrate into any type of terrarium, and its sturdy design prevents it from being easily tipped over by larger reptiles. The Exo Terra Snake Cave also includes natural moss, which can be dampened to create a moist hideout or nesting box for various species of snakes and lizards.